• It provides an opportunity for all children to see themselves in the literature. • It fosters development and positive self-esteem. • It strengthens the significance of personal heritage. • It helps raise personal aspirations. • It provides a means for everyone to learn about people all over the world. • It recognizes and values the contributions of all people. • It broadens understanding of history and geography. • It cultivates respect, empathy, and acceptance of all people. • It helps build a global community. Steiner, S.F. (2001). Promoting a global community through multicultural children's literature. What are the benefits for students of color? Research suggests that children tend to prefer and are more likely to engage with literature that reflects their personal experiences. 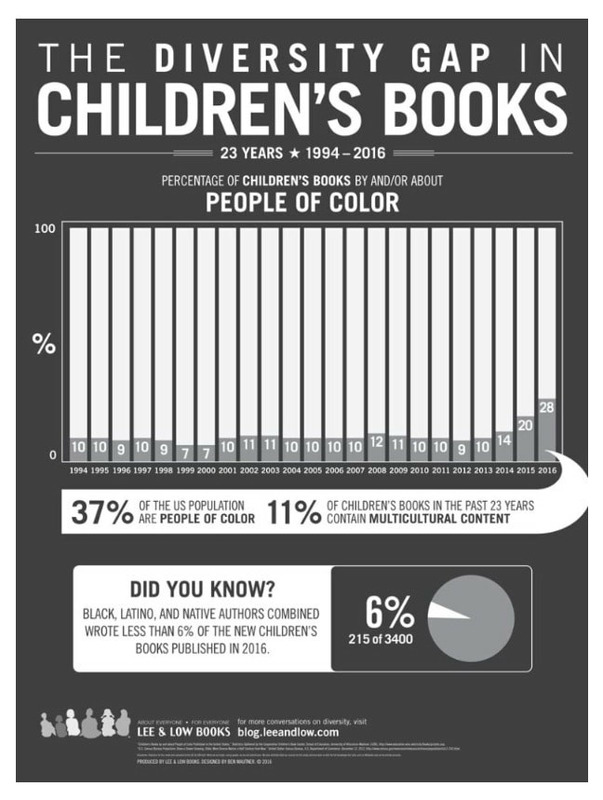 When children of color encounter characters that look like them and whose stories mirror their own experiences and culture, they are more likely to see how reading can play a role in their lives and to develop a love of reading. Children must be able to make connections with what they read to become proficient readers. When readers interact with literature that relates to their culture-specific experiences, their reading comprehension performance will improve. Multicultural literature increased the reading comprehension and fluency and decreased phonological awareness gaps of culturally and linguistically diverse students. Relevant reading materials assist in supporting the students’ reading acquisition skills and motivation to read. Genuine acceptance of one’s ethnicity is positively related to psychological well-being, interpersonal relations, social consciousness, and personal efficacy.